Some hardwood floor replacement signs are very conspicuous. Others aren’t as noticeable and still more are less than obvious. That’s because hardwood is not only very beautiful, it’s super durable. The truth is, there’s no actual hard and fast rules when it comes to hardwood replacement. But, there are signs which tell you it’s in the near future or an immediate need. The great thing is, hardwood floor refinishing is generally an option. So, instead of having to rip out the old top floor and installing a new covering, you simply refurbish what’s already there. And, that really cuts down on time, effort, and cost. Board separation. 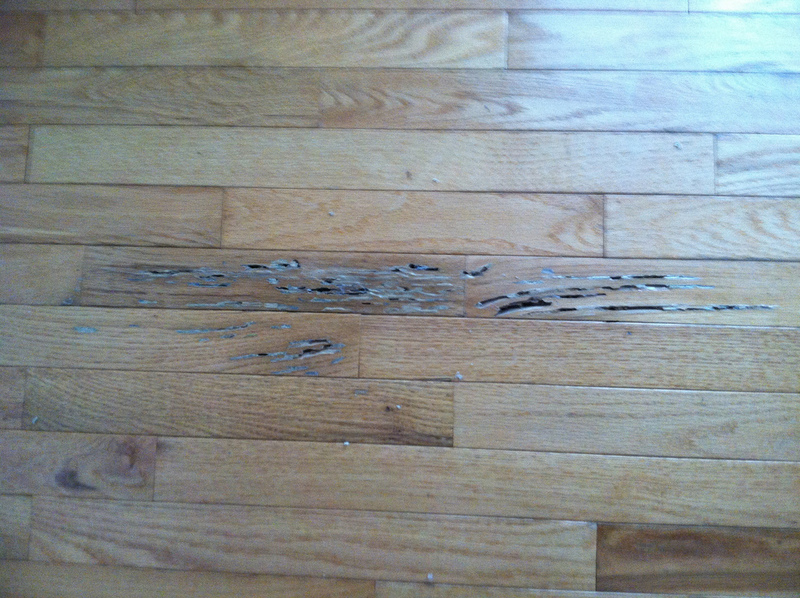 Temperature and moisture fluctuations can wreak havoc on hardwood. Over time, these two factors can cause the boards to gap and separate. If you see gaps and they don’t close during summer, replacement is probably the fix. Cupping. When the edges cup up and the centers stay in place, that’s known as cupping. And, it’s a sign replacement is in the near future. Particularly if the edges curl up more and more over time. Crowning. If the center rises in the boards but the edges remain in place, crowning is happening. Crowning generally occurs from moisture imbalances and does not naturally correct itself. Crowning generally worsens and isn’t an easy fix. Gouges. Deep gouges occur for all kinds of reasons. Furniture and foot traffic are sources of gouges. But also, termites can be the source. Of course, the appearance differs but do look similar. Some gouges can be filled but others need board replacement. If there are enough gouges, it’s worth looking into total replacement rather than little fixes here and there. 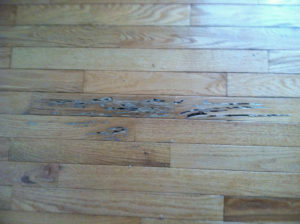 When you need remodeling debris removal of hardwood floor material, phone 800-433-1094 or visit Junk Garbage Removal.